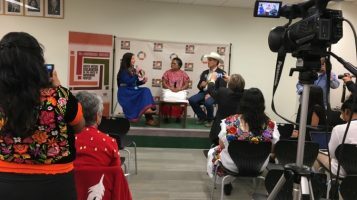 The Indigenous Media Zone provided a much-needed work space for indigenous media producers and also featured live interviews, discussions and press conferences with human rights defenders and indigenous experts. 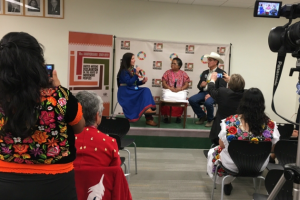 It was co-hosted by the Department of Public Information (DPI) and the Department of Economic and Social Affairs (DESA) in cooperation with indigenous media organisations in the UN Correspondents Association lounge on the third floor of the Secretariat from 24 to 28 April. Five discussions—one per day—were streamed live on UN DESA’s Facebook page and can be viewed HERE.